Hi! I love Pokemon and other anime. 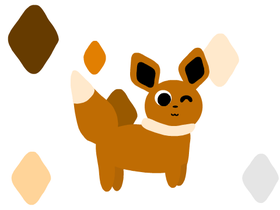 My favorite Pokemon is Eevee! I enjoy riding my bike around parks. Comment on my profile if you want to be Switch friends! I'll just make art on here. I really like drawing, especially drawing animals and Pokemon! I'm so excited for Pokémon Sword and Pokémon Shield!! I'd choose Sobble. Help! I need company! Help me!